Our agency was established by Simon Barwick in Grand Cayman in 1982. As the offshore centre grew, so did BB&P, soon becoming specialists in brand development for financial services and property development. 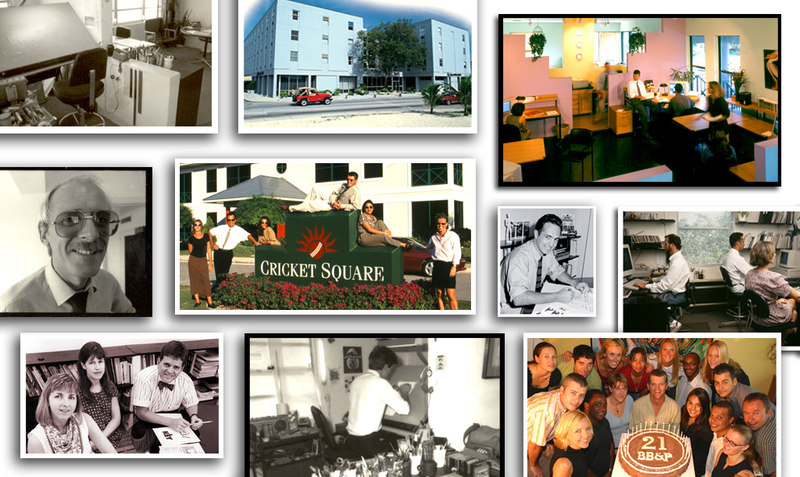 In 1994, with an expanding team and client roster, we moved into our current home at Cricket Square. Seeing an opportunity to create a pan-Caribbean network to service major regional clients, in 2001 we established the Howzat Group with partners in Jamaica and Barbados. With Howzat we handled the largest cross-market campaigns ever executed in the West Indies. Always ahead of the curve, we were pioneers in online marketing in the Caribbean but, by 2010, recognised that mobile internet in particular was about to revolutionize the region's media landscape. Thus, the agency underwent a revolution of its own, and, with the arrival of Rob Barton, set about reforming as BB&P Brand Interactive. Today, our dedicated team brings strong integrated digital and brand communications skills to bear for clients in the Cayman Islands, across the Caribbean and around the world.